As our forefathers expanded the nation to the west of the Mississippi more and more wheels rolled from LaCrosse and the other river towns to the virgin lands of the Great Plains. It was during this rush to the West that Frank Mantor and John Hubbell, traveling from Winona to St. Peter, hopped off a stagecoach and staked the original claim to what is now the village of Mantorville. In 1854, the town was incorporated. During this same year, four years before Minnesota became a state, John Hubbell constructed the first Hubbell House. 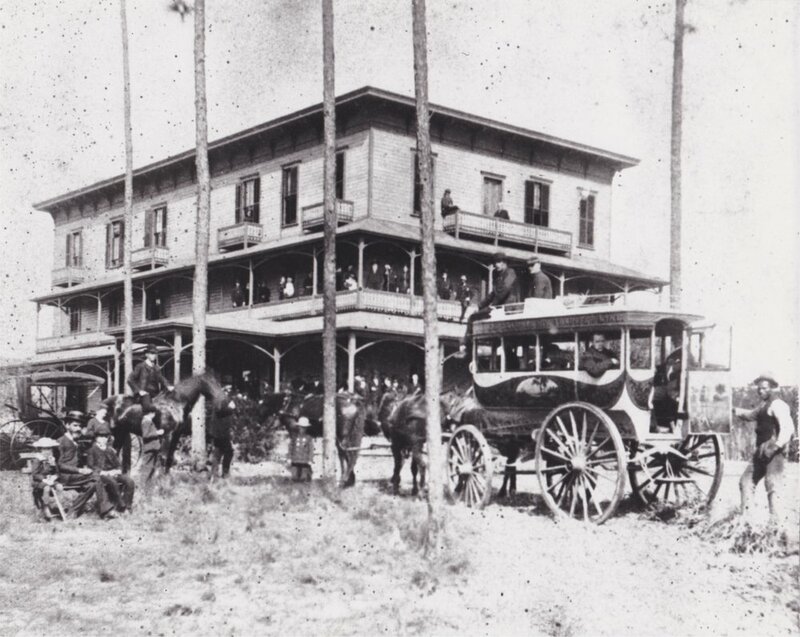 The original Hotel, a 16 x 24 foot log structure, was the only building in town having a double roof, thereby allowing room in the chamber for guests. Two years later, in 1856, the present three-story structure was built and it immediately became an important stopping place along the trail from the Mississippi to St. Peter. The well-worn stone threshold at the southwest corner of the building displays immutable evidence of the popularity of the original saloon. It was here that mail couriers entertained westbound travelers with exciting tales of their daily adventures in the wild new territory. Down through the years the guest list grew. As we enjoy this glimpse of history, we see a “Who’s Who?” of frontier days. Senator Alexander Ramsey, President U.S. Grant, Brother Bishop Whipple, Horace Greeley, Ole Bull, and W.W. Mayo were but a few of the many guests who took their relaxation in the pleasant facilities provided at the Hubbell House. 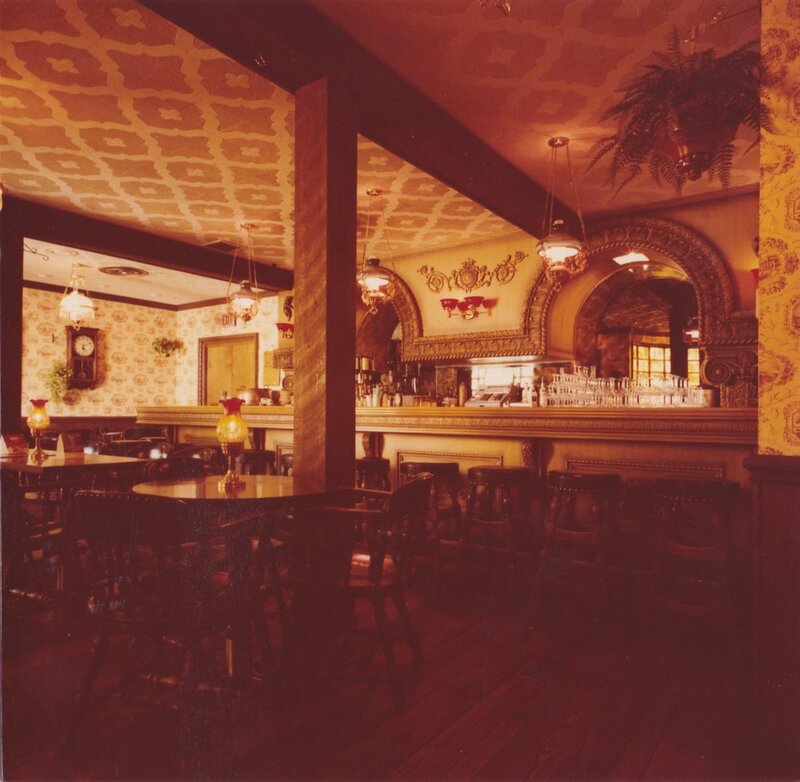 During the Proprietorship of the Pappas Family, the guest list continued to grow with President Dwight D. Eisenhower, First Lady-Lady Bird Johnson, Minnesota Twins players – Kent Hrbek & Harmon Killebrew, Mickey Mantle, actors – Roy Rogers, Fred McMurray, James Whitmore, Danny Kaye, Bruce Dern and many more. The entire Minnesota Vikings Football Team came three times in the 1990s. In 1963 the citizens of Mantorville took advantage of the historical value of their community and formed the Mantorville Restoration Association. In addition to the Hubbell House, many other buildings have been restored to look as they did in 1875. Although times have changed, Early-American hospitality is still available in Mantorville. 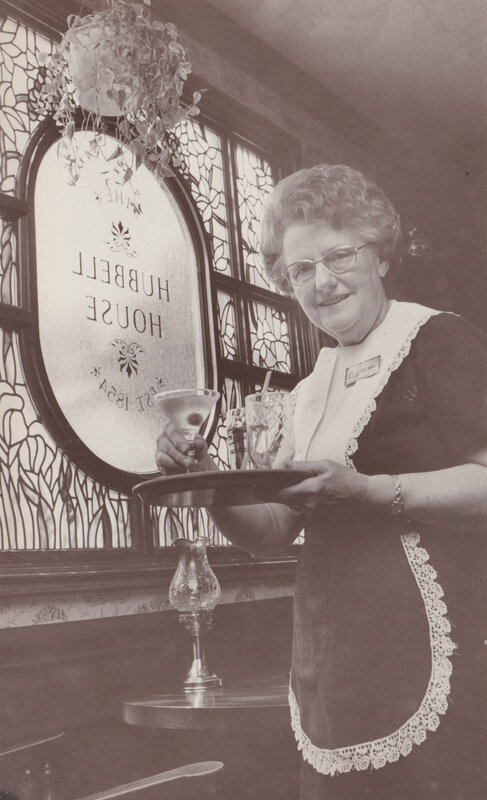 In 1946, Paul Pappas purchased the Hubbell House and at that time established the policy of providing you with excellent foods and served them in an atmosphere that has changed but little since 1854. 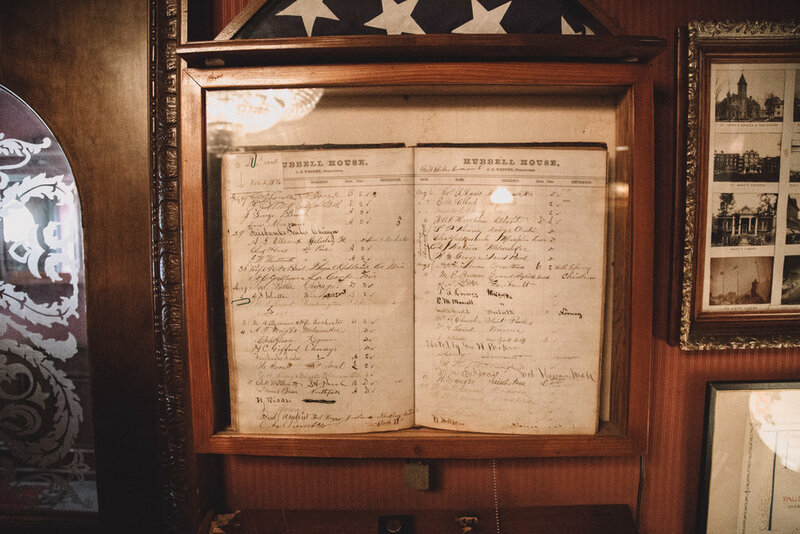 We truly appreciate your visit to our restaurant and invite you to take advantage of the many documents, and historical objects we have collected and displayed in our Senator Ramsey Room, the Horace Greeley Room, the Old Hubbell Room and the Stagecoach Room.